Congratulations to Robert Vancamp on winning our forty second High Five Giveaway and thank you to all who entered! 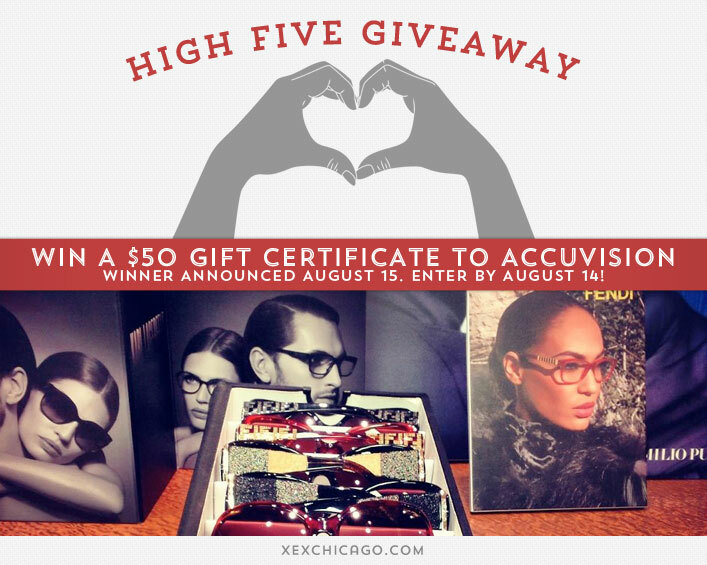 Our next High Five Giveaway is for another $50 gift certificate to AccuVision. What mineral can help stimulate hair growth and can be found in onions, garlic, leeks, cucumber, horseradish, asparagus, shallots? Now, just add a comment to this post with the right answer to be eligible to win! The winner will be announced on Thursday, August 15. Entries must be received by midnight on Wednesday, August 14. Good luck!